Oregon could start allowing its law enforcement officers to cooperate with federal immigration officials if voters choose to repeal its sanctuary status in November. A measure to repeal the so-called sanctuary state status – which regulates how much local law enforcement officials can help federal immigration authorities – will be on the November ballot, The Oregonian reported. 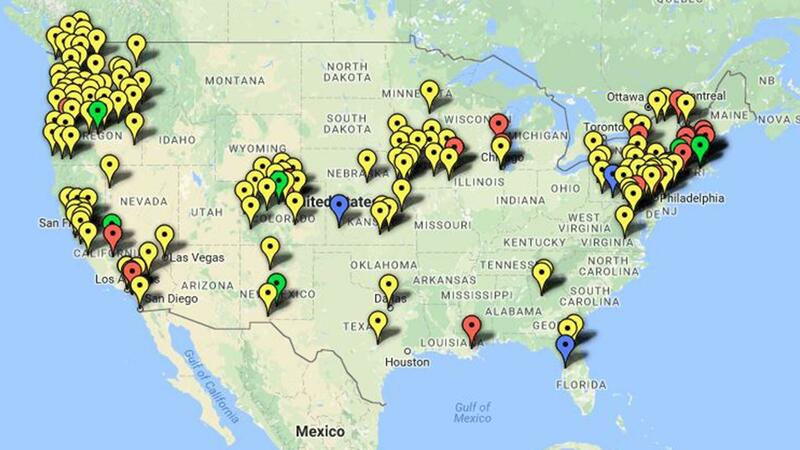 The Trump administration has been opposed to sanctuary cities and states, promising to crack down on them. Andrea Williams, executive director of immigrant rights organization Causa Oregon, warned that if the sanctuary status is rescinded, police officers would begin to racially profile people in the state. “No Oregonian, including those who may be undocumented immigrants, should have to live in fear that doing basic things like going to work or school or reporting a crime to police could result in harassment or their families being torn apart,” Williams said in a statement. The group Oregonians United Against Profiling said businesses such as Nike and Columbia Sportswear back opposition to the proposal, formally called Initiative Petition 22 (IP 22). According to The Oregonian, two groups were instrumental in garnering more than 97,000 signatures by July 6 to get the initiative on the November ballot: Oregonians for Immigration Reform and Stop Oregon Sanctuaries. “All are eager to end Oregon&apos;s sanctuary policy and see their state do its part to combat, not promote, illegal immigration by freeing our police and sheriffs to cooperate fully with federal immigration authorities to enforce U.S. immigration law,” Cynthia Kendall, Oregonians for Immigration Reform president, said in a statement to Fox News. Bob Dane, executive director of the right-leaning Federation for American Immigration Reform (FAIR), praised the groups’ “herculean effort” to get IP 22 on the ballot. “Oregon lawmakers have repeatedly demonstrated their contempt for concerns that Oregon citizens have about rampant illegal immigration,” Dane told Fox News. Last year, Attorney General Jeff Sessions criticized Portland while visiting the west coast city, dubbing it a “trafficker’s, a smuggler’s or gang member’s best friend” because of its sanctuary policies.